Do Merchants Pay a Fee for Using Debit Cards? Virtually every business that sells any type of goods or service requires the ability to accept credit card payments. A merchant account is a specialized type of account that allows a business to accept credit card payments. A merchant account can also be used to accept debit cards that display a Visa, MasterCard, American Express or Discover logo. 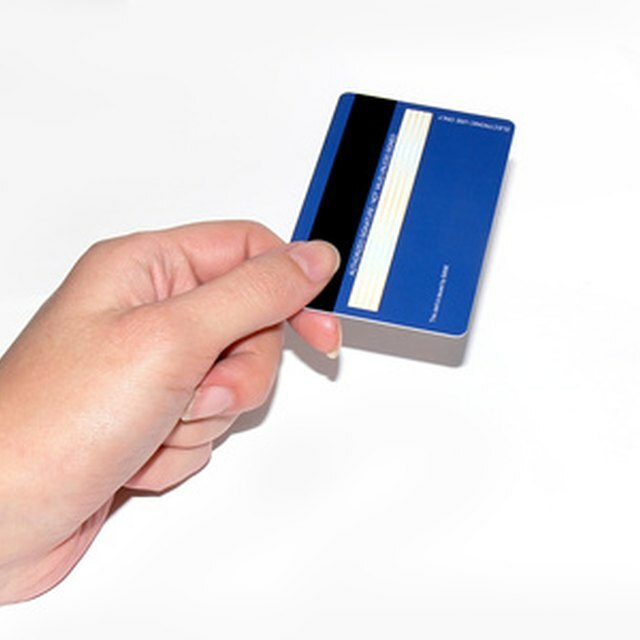 Merchants are typically charged a fee for the ability to accept debit card payments. Most merchant account providers charge the merchant a monthly fee for access to the merchant services. Monthly fees can vary depending on the service provider. A merchant account through your local bank may cost anywhere from $15 to $30 per month, while an Internet-based merchant provider such as Intuitpayments.com indicates their monthly service fee is $12.95, as of 2010. Every merchant account is charged a fee known as a discount rate. The discount rate is charged on every credit or debit card transaction that is processed on behalf of a merchant. According to Website Marketing Plan, the discount rate is calculated as a certain percentage of the total transaction amount. The discount rate may vary depending on the type of transaction and the merchant provider, and it typically ranges from 1 to 2.5 percent of the total transaction amount. In addition to the discount rate, most merchant providers also charge a transaction fee for each transaction that involves a debit or credit card. Depending on the terms of the contract, a merchant can expect to pay as little as 5 cents per transaction up to 35 cents per transaction. If a business does not meet the merchant service provider's minimum monthly sales amount, the merchant provider may charge a monthly minimum fee. Monthly minimum charges typically range from $15 to $40 per month. The majority of merchant service providers require merchants to close out their transactions several times a week. Closing out transactions requires a merchant to log into a specialized payment gateway and finalize payment transactions so the funds can be transferred into the business bank account. Most merchants must pay a batch fee to cover the cost of the software and batch payment processing network.